You won’t be seen in your Facebook News Feed if you don’t get more engagement on Facebook. Do you ever take a look, like, make a comment, maybe even share what others’ posts that you see in your News Feed? That’s where all the action is on Facebook pages! And remember, it’s a free news feed that can also include your news items when you make use of it! 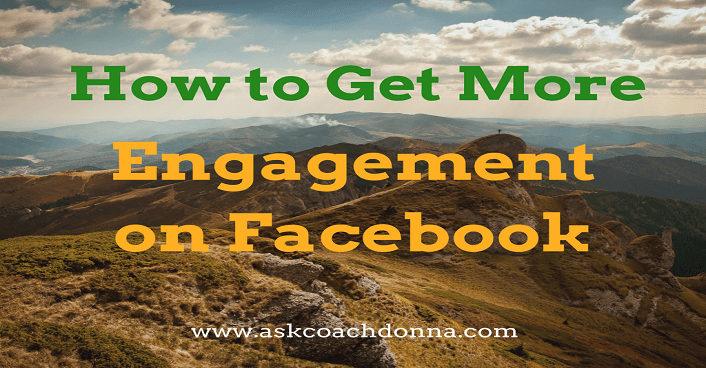 It’s one of the greatest ways you can make the most of Facebook; by using the FREE tools available and get more engagement on Facebook! Okay, so you post to your Facebook page, hoping you’ve hit upon something that works.